It started as a health kick on Jan 1 of last year. I didn’t set out to give up soft drinks, per se. I just wanted to lose some weight, and, let’s face it, soft drinks aren’t usually on the list of approved foods. Right? The hard part was the first 6-8 weeks when I was changing every other part of my diet. Anytime I went out to eat, the urge to order a Coke or Pepsi was surprisingly strong. But, I really wanted to stick to my calorie goal for the day and having 3 soft drinks (one plus 2 refills) just didn’t fit. The hardest part was anytime I went to the movies with Dad. I don’t know why, but my head links popcorn, movies, and a large Coke all in the same bucket. Standing there at the counter and telling the guy that I want a medium popcorn and a glass of water seems absurd, like ordering a low-calorie donut. Why bother? 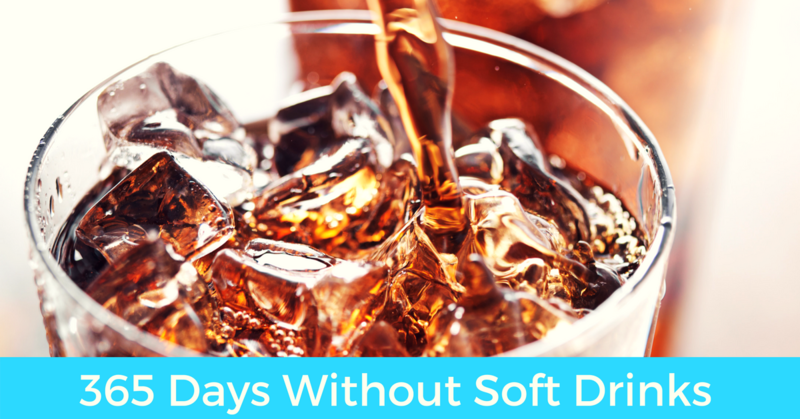 Once I had the initial craving part kicked, not having soft drinks was pretty easy. They were simply written out of my life. They no longer had a place. My health kick followed its usual story arc — lose some weight, get really tired of tracking every tender loving calorie, and eventually cutting back on exercise — over the course of about 4 months. Despite my flagging resolve in all other areas, I decided to keep this one healthy habit in place only as a way to hang on to some shred of dignity. Do I intend to continue eschewing soft drinks? I don’t want this streak to become an idol — something that starts getting more attention than it really should. If I don’t kill this thing sometime soon, I will start seeing how far I can go with this. I am already having bad dreams of finding myself in a restaurant, asking for a Coke refill when I realize that I blew it and didn’t make it to the full year. To me, this is a sign that it has gone far enough. I will make it through just one more day so I can say that I made it a full year with no soft drinks, and then I will put this streak to rest in favor of creating more sustainable healthy habits like better nutrition and far more exercise.